Requests for documents were sent to 81 individuals and entities, including the president’s family, businesses and administration. WASHINGTON — The House Judiciary Committee on Monday launched an investigation into potential Constitutional abuses and public corruption by President Donald Trump, sending a sweeping request for documents from the president’s family, businesses and administration. 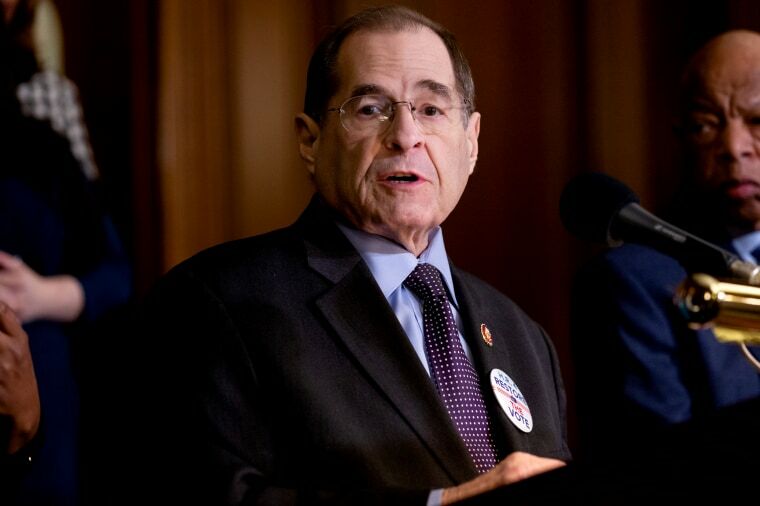 Each topic could form the basis of an impeachment effort of Trump by the Democratic-controlled House, though Nadler and committee aides stress that they begin their inquiry without that specifically in mind. Recipients of document request letters Monday are a who’s-who of the Trump universe — the administration itself, including the White House, the FBI, and the Justice Department; the Trump campaign, Trump Organization and the transition committee; key campaign advisers and administration figures including Don McGahn, Sean Spicer, Michael Flynn, Paul Manafort, Roger Stone and Steve Bannon; and members of his immediate family, including Donald Trump Jr., Eric Trump, and son-in-law Jared Kushner. A committee counsel said the initial goal is to “amass a very large treasure trove of evidence” that it will then begin to comb through to help guide the investigation. The counsel, speaking on condition of anonymity ahead of the public announcement, said the committee initially began with a list of more than 150 people before narrowing it down to the final 81. Most if not all of the entities on the list had received some initial contact from the committee to lay the groundwork for the requests. “For almost everyone on the list, it shouldn’t be a surprise,” the official said. The committee expects quick responses from some of those on its list with others having informed the committee a subpoena will be necessary. Ultimately, some of the requests may produce clashes with the administration over executive privilege. The White House confirmed receipt of one of the requests Monday. “The Counsel’s Office and relevant White House officials will review it and respond at the appropriate time,” press secretary Sarah Sanders said. Asked by reporters Monday if he would cooperate with the requests, Trump said, "I cooperate all the time with everybody."